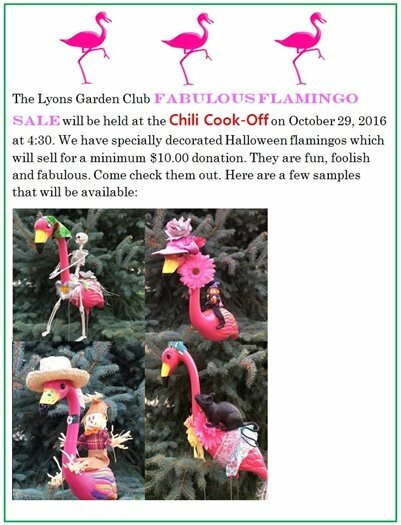 Interesting in supporting Lyons' annual Halloween Spooktacular? Sign up to volunteer! 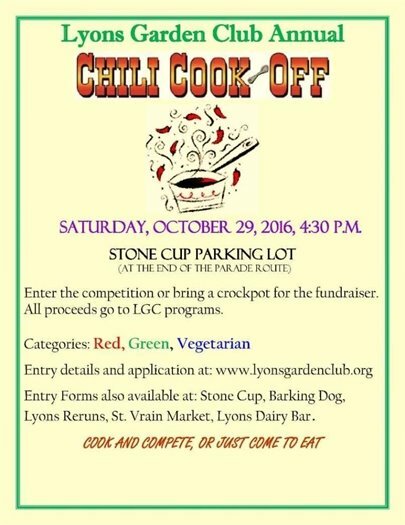 This event heavily relies on in-kind support from the community, which, in turn, helps ensure Town events continue for years to come! 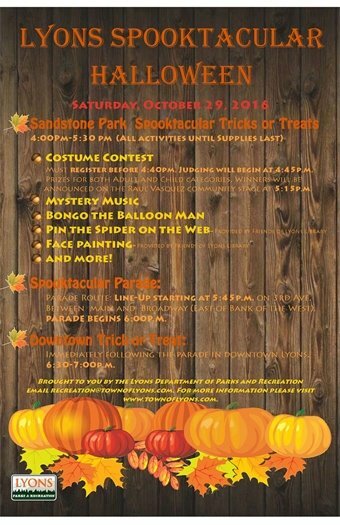 Costume Contest Registration & Guessing Game, 3:45 to 5:30 p.m.
Costume Contest Judges, 4:00 p.m. Mask Making, 3:45 to 5:30 p.m.
Ping Pong Toss, 3:45 to 5:30 p.m.
To signup for a volunteer position, contact Marissa Davis at recreation@townoflyons.com to reserve a slot. Every volunteer is greatly appreciated!